Do I qualify for a electric wheelchair through insurance? You can qualify for a free or low cost wheelchair through insurance depending on whether it is deemed medically necessary for you to use it on a regular basis. 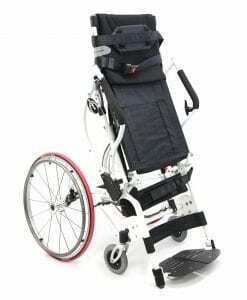 In order to determine whether it is necessary for you to use a wheelchair, you must get a written prescription from a doctor stating that you require this type of mobility device to get around. 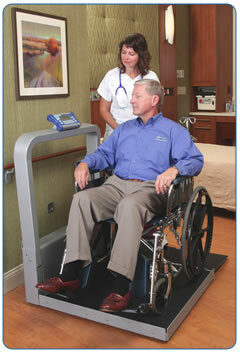 Manual wheelchairs are the most common when it comes to mobility products that are prescribed by doctors. 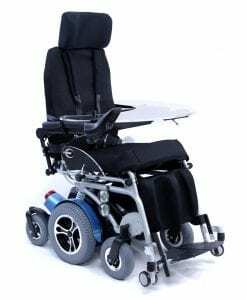 Motored chairs are a bit more complicated because the doctor has to decide whether it is necessary for you to have a battery-assisted wheelchair instead of a self-propelled manual chair. You can apply for medicare or medicaid to find out if you are qualified for their federal program that assists a person with buying a wheelchair or completely free of cost based on your medical and financial situation. Once you are able to get approval for a wheelchair and you have the necessary prescription from your doctor, you will be notified to contact an approved supplier locally or through the phone. 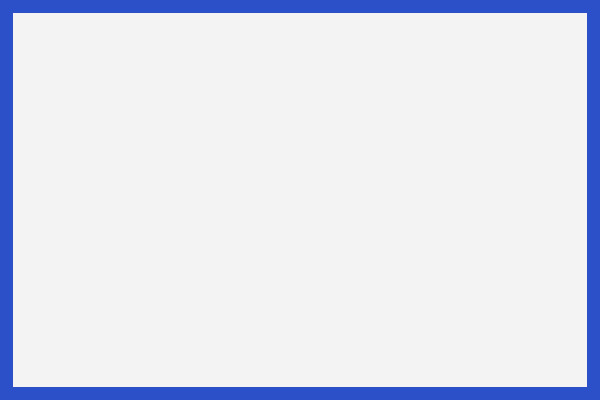 Sometimes insurance companies will provide a list of approved suppliers that you can visit or contact to see whether they carry the specific type of chair you are qualified for. In order to be eligible for a medical wheelchair, you must qualify under a certain condition(s) so that the government or medicare can provide you with a tailored wheelchair for your needs. 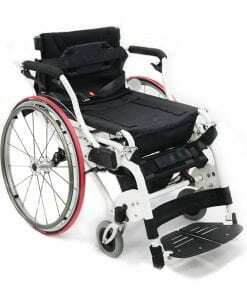 The first step is to receive a written order from your doctor stating that you have a medical need and requirement for a drive medical wheelchair. Medicaid wheelchair generally pays about 80% of the approved amount. This means that you must pay 20% of the amount of the deductible. Medicare will provide you with a wheelchair at a low-cost or no cost at all. If you meet their criteria for eligibility, then you have a health condition that causes difficulty moving around indoors. You are unable to do daily activities such as hygienic needs or using the bathroom. You must be able to safely operate the piece of equipment in order to be eligible. Sometimes a caretaker is required in order to be able to receive a chair from medicare. It is also recommended that you find assistive equipment that is usable in your home, meaning that it is not too big to fit through doorways and should have a clear path to the front door. When it comes to billing the government, most companies involved are honest with the way they do business. 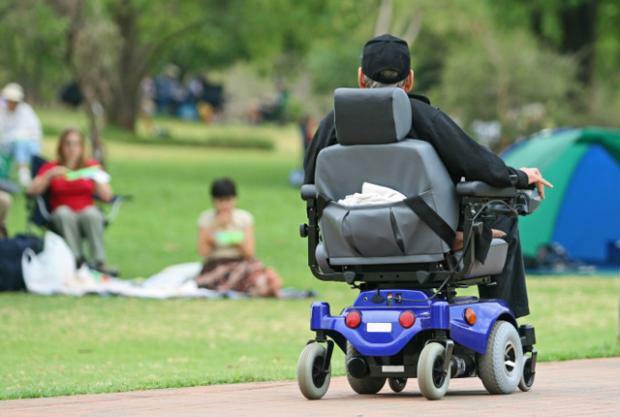 Some companies may be fraudulent when it comes to billing for a wheelchair. An example of such fraudulent behavior is The Scooter Store, they billed for medical wheelchairs that customers did not require by law. 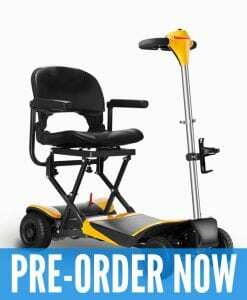 In effect, some medical equipment suppliers try to cheat the government by billing for Medicare by offering expensive battery-powered wheelchairs and scooters to individuals who do not qualify for those type of products. Sometimes if you cannot use a walker or rollator safely, you may qualify for a medical wheelchair. 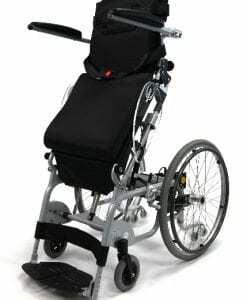 If the need arises where you can rent a higher end wheelchair, do not hesitate to do so, as this can give you an idea if that type of wheelchair is something you need. 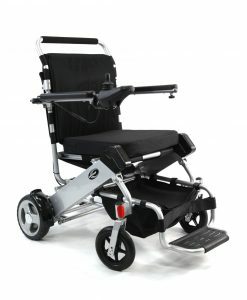 If a manual wheelchair is not good enough for your condition, make sure that you find an alternative. 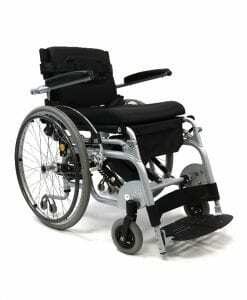 Power wheelchair may be an option for you if your manual wheelchair is not doing the job. Motorized chairs break into two types, one is a battery-powered wheelchair, and the other is a battery powered scooter. They are different types of chairs that may aid you with your daily needs. More specifically, a standing wheelchair may be the kind of chair you need. Depending on your condition, you may need a way to be assisted to stand up from a seated position. You can hire or find a caretaker that can aid you in standing, but the most appropriate way would be to purchase a Standing Wheelchair if possible. 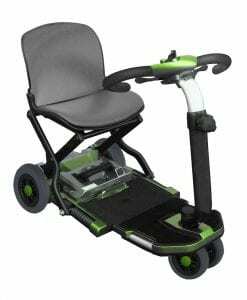 Electric wheelchairs are heavier compared to regular wheelchairs because if the added wright of batteries, motors and sturdier frames. 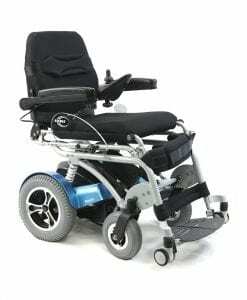 The degree of complexity in electric powered wheelchairs also ranges greatly, from simply employing regular batteries along with a joy stick controller, all the way up to utilizing microprocessor operated gyroscopic circuitry which allows the chair to go up on 2 wheels! The price also varies with the complexity and they can range from $3,000 - $30,000. The newest wheelchairs can go upstairs, curbs, go through gravel and even elevate to reach things on a higher level. For this type of chair you are looking at a starting price of around $21,000. The average power wheelchair will cost around $12,000. 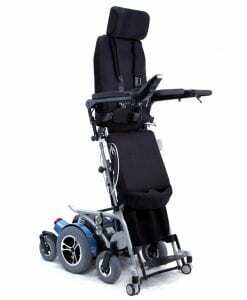 Always buy your electrical wheelchair from a trusted and licensed supplier. That way you will get full service if your electric chair needs repairs. If going the second hand route, be aware of faulty battery packs, cracked frames or bad motors. 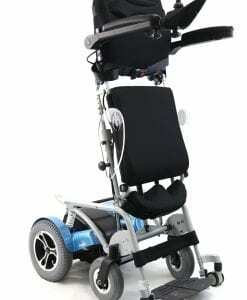 This kind is the most popular for electric wheelchairs. 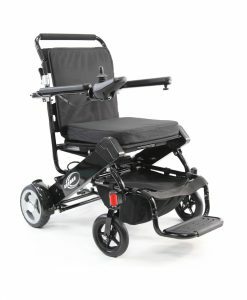 Although this type is fast, it turning ability is poor compared to the other types of powered wheelchairs. This type has the best turning ability of all the electric wheelchairs. It can be a bit unstable when moving off or stopping; they are not a good choice for uneven terrain. While slower than the back wheel driven wheelchairs, they provide good turning ability. Batteries also come in 3 varieties for electrical wheelchairs. They come in Wet, Gel and the latest Absorbed Glass Mat (AMG) varieties. Energy is generated by a chemical reaction between the lead and sulphuric acid. 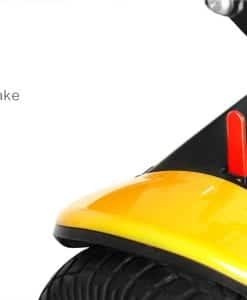 They do require some maintenance because they have to be topped up with distilled water, but they are lighter compared to Gel and AGM batteries. Wet batteries can leak sometimes, so you have to keep this in mind if traveling on a plane. Impressive functionality when properly maintained. Lighter per Ah versus many Gel or AGM’s. Battery acid solution might seep out, resulting in corrosion and destruction to chair and electrical wiring. Increased rate of self-discharge if idle (6-7% monthly). When choosing a new battery supply, research prices. Purchasing a new battery supply from a wheelchair vendor or medical retailer costs more compared to an electrical retailer. Don't be misled by false reports that the batteries can only be brought from wheelchair vendors.